SINGAPORE - Unemployment creeped upwards even as employment growth rebounded to 15,700 in the second quarter of this year, after contracting by 6,100 in the previous quarter for the first time since 2009. 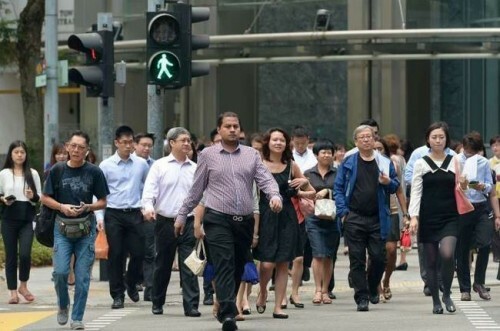 The growth was slower than the 27,700 workers added a year ago, bringing the total number of people employed in Singapore to 3,633,500, according to preliminary figures released by the Manpower Ministry (MOM) on Thursday. It was led by the services and construction sectors, while employment in manufacturing continued to fall. Unemployment rose after trending down over the past 12 months. The seasonally-adjusted rate was 2 per cent overall, from 1.8 per cent in the first quarter of the year. The rate for citizens 2.9 per cent, or 56,100 people. MOM said in its report that this rise in unemployment "took place amid softer economic conditions". Layoffs fell for the second consecutive quarter, with 3,100 people being made redundant from April to June, down from 3,500 from January to March. Of those who lost their jobs last quarter, 2,700 were retrenched and 400 were released early from their contracts. The bulk of the layoffs were from the services sector, which let go of 2,000 workers.